The days get longer, the temperatures get warmer, and just about everyone wants to be outside. There are a great deal of outdoor activities to choose from to keep kids, and adults alike, busy all summer. Some of the most popular summer fun involves leaving the house including the zoo, swimming pools, lakes, or amusement parks. While all of these activities are great entertainment, they typically cost money and require some advanced planning. If you are looking for a way to beat boredom this summer while the kids are home, but don’t want to spend a lot of money or drive somewhere, there are tons of things you can do right in your own backyard. We have compiled a list of 15 backyard summer activities that everyone can do, as long as they have the space, time, and willingness to try new things. So grab the kids and any materials you may need and get ready to spend your summer outside! It’s true that you first need a swing set to be able to play on it. So if you have one, get the kids out there now and get them moving. No matter what its size- climbing, sliding, and swinging is a great way to get exercise and stay active all summer. And one of the best things about this activity is the kids can come and go from the house and play independently so you can accomplish other tasks if needed. 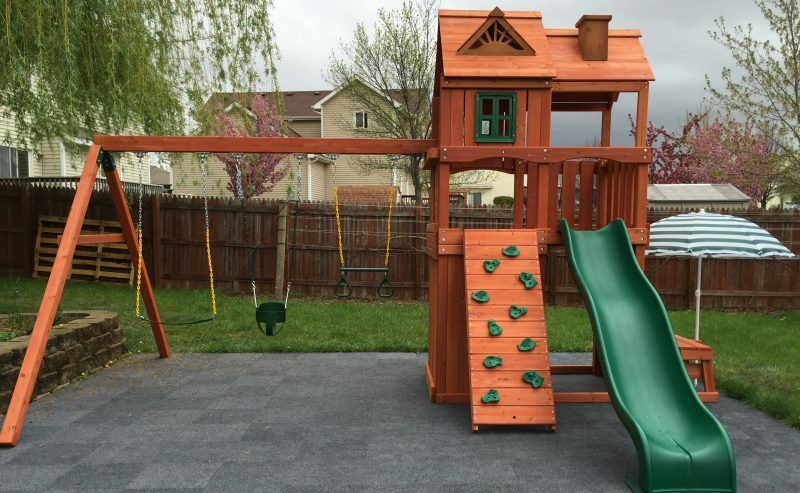 If you do not have a swing set, the summer is a perfect time to get one. 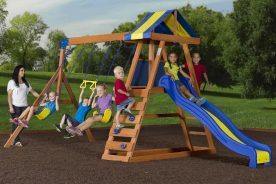 There are numerous models and types to choose from including wood, metal, vinyl, and plastic playsets. 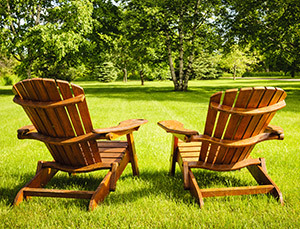 Various sizes make it easy to find something that will fit nearly any backyard and budget. Having your own swing set will save you trips to the park and will even allow your kids’ friends to come and play without having them all in your house. While this activity may not sound like the most fun on those 90 degree days, when the sun goes down and everyone starts cooling off, a fire under the stars can be a great way to end the day. There are several options when it comes to backyard fires including a fire pit or fire bowl for burning wood. You might also have room for an in-ground fire pit with benches or chairs built around it. Or for something even more convenient, a propane-powered fire pit or fire table allows you to have an instant fire and not have to worry about burning embers at the end of the night. This might not be the first thing that comes to mind when you are thinking of backyard activities, but setting up outdoor movie screens is becoming an increasingly popular summer activity. Whether you project the movie on the garage or the side of your house or have a pull-down projection screen installed on your back patio, technology allows you to set up a “drive-in” type movie in your own backyard. So pop some popcorn, invite the neighbors, and snuggle into your favorite lawn chair or blanket for your viewing pleasure. You can either go to the public pool and fight the crowds for a place to put your towel, or you can bring the pool to you. This is a great way to cool off in the summer, especially if you have smaller kids who aren’t ready to go under or be splashed in the face. If you are lucky enough to have your own in-ground or large above-ground swimming pool, you know how relaxing they can be on a hot day. If not, there are plenty of options that will fit on the deck or a small space in the yard. From plastic kiddie pools that are perfect for infants and toddlers or to simply keep your feet cool to inflatable wading pool or large soft-sided pools that can be filled each summer and taken down at the end of the season, there are lots of varieties to choose from. This is an activity that will take a little bit of planning, some money spent for materials and either some research or knowledge of plants. 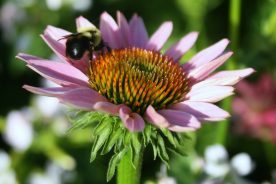 Whether you choose a perennial garden, a butterfly garden, or a fruit and/or vegetable garden, you’ll want to make sure you have the space and time to properly care for a garden. The possibilities for a garden really are endless as there are numerous types of plants to choose from. You’ll want to research the best time of year to plant certain things as well as the best light, soil, and amount of water each needs. Check out our gardening section to find all kinds of tips regarding planting, caring for, and harvesting your garden. Maybe you don’t have room for a pool or maybe your kids just need a variety of activities to keep them interested. Whatever the case may be, if your kids love water but aren’t interested in going for dip one day, then a water table might be a great choice. Water tables come in a variety of styles and sizes. Some hold water on one end and double as a sand table on the other. They are great for building imagination and fine motor skills as well as giving little ones some sensory stimulation. 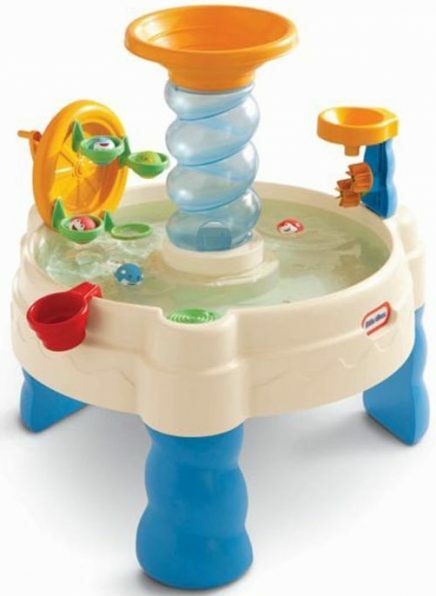 Popular children’s toy manufacturers like Fisher Price and Little Tikes make great water tables or you could even try your hand at building your own. As an adult you might enjoy this activity even more than your kids. But if it isn’t too hot, one way to get your kids to spend time reading is to throw a blanket in the grass and lay in the sun while you read. Many public libraries have summer reading programs that encourage kids to read all summer by rewarding them with prizes for the amount of time they read. Summer might also be a great time for your older kids to find a book series they love and see if they can finish it all before school starts again. This one is pretty simple. Grab some chalk, find some concrete and start drawing. Kids of all ages love seeing what they can create with bright colored chalk. And since it is relatively inexpensive you don’t have to worry about how much they use. Almost all sidewalk chalk is also washable and non-toxic so there’s no worries if it ends up all over their clothes or themselves either. Who knows, you might have the next famous sidewalk chalk artist in the making. There is something about eating somewhere other than the kitchen table that makes lunch time a whole new and fun experience. So grab a picnic blanket, head outside and watch the kids scramble to eat everything on their plate. While you may have a picnic table or patio furniture to eat next to, kids will love the idea of not having to sit in a chair while they eat. And finger foods always make a great picnic menu and make clean-up really simple too. 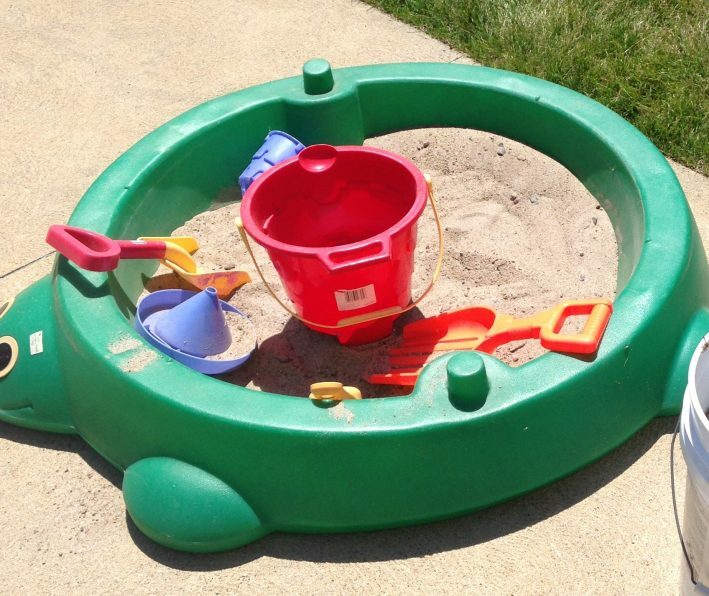 While the beach is usually the best place for this activity, having a sandbox in your backyard is an easy way to provide hours of entertainment. If you have a swing set it’s possible that there’s an enclosed area under the clubhouse that makes a great sandbox. 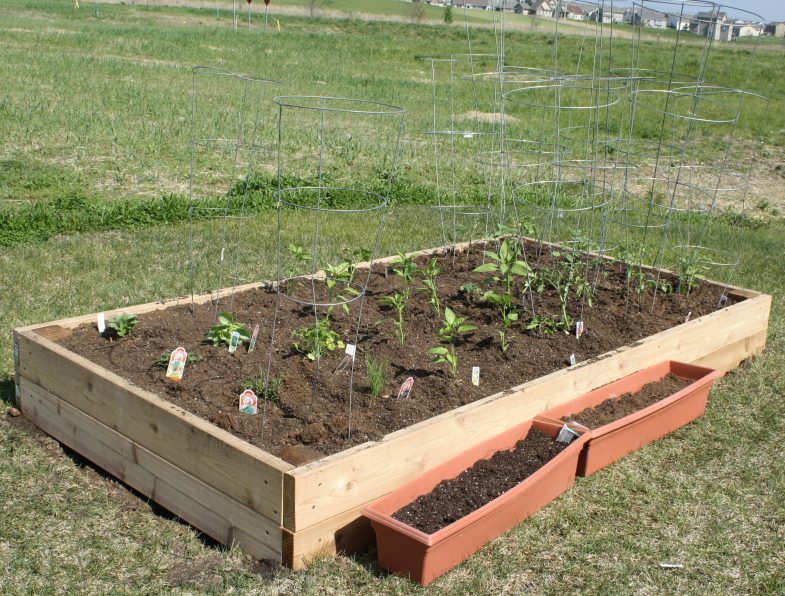 You can easily build your own with a few 2 x 4’s as edging. Or to make it even easier simply purchase one of those plastic turtles with a lid or even consider filling a small plastic swimming pool with sand. If you have a cat or one that wanders over from the neighbors, you’ll want to keep the sandbox covered, as they will see it as a giant litter box. Kids have been doing it for years, even before we had the wacky sprinklers that twisted and turned every which way and sprayed water in various intervals. Your grass could probably use some water anyway, so why not hook up the hose to your water sprinkler, or the wacky sprinkler if you have one, and let the kids cool off. 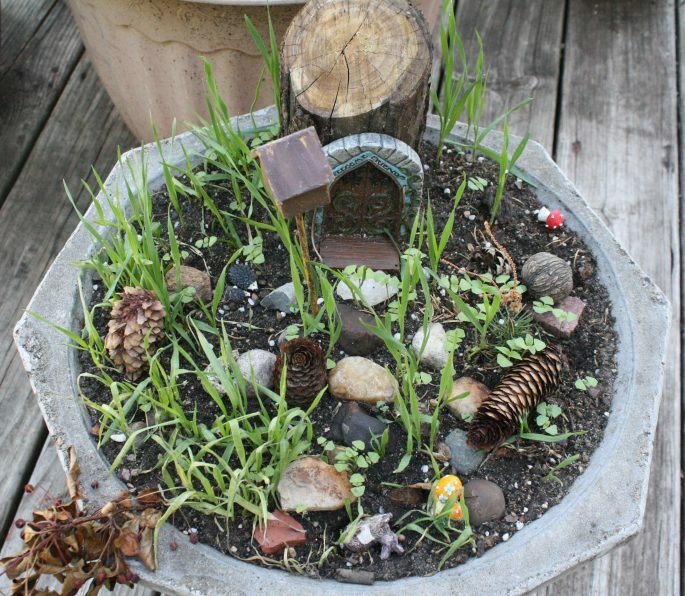 Another summer activity that might require some planning, a fairy garden is a fun and simple activity that kids of all ages will enjoy. A fairy garden is typically built among plants, either in a large flower pot or right in an existing flower garden. The kids will love arranging their structure to suit the fairies they hope to attract. There is no right or wrong way to construct your fairy garden. Most of them include the entrance to a small house, which can be mounted to a tree or piece of wood, along with small pieces of furniture, rocks, small animals. The possibilities are only limited by your imagination. There are even kits available to purchase that include colored rocks, fairy figurines, tiny furniture, and much more. Maybe you don’t have room for a large swing set or there isn’t a place to put a tire swing on an existing set. But every kids enjoys a tire swing. Depending on how you install it a tire swing can provide enough space for 2 or 3 kids to swing together or it can just be a neat way to sit in or on top of a tire to swing. A tire swing can be as simple to install as just hanging on old tire from a large tree limb with a rope. Or for a flat tire swing you would need several ropes. You might also consider a tire swing kit like this one from Gorilla that actually has the hardware to make it spin 360 degrees. There’s not much to say about this one. Everyone loves a great backyard barbecue. Whether it’s just your kids and their neighborhood friends or a few couples you enjoy spending time with, the right weather, drinks, and grilled food is a great way to spend a weekend evening. From corn on the cob to baked beans, steak, hot dogs, smoked meat, watermelon, and potato chips, the menu for most grill-outs is pretty standard. But you can make whatever you want, serve it while sitting around the patio with some beverages on ice and everyone’s sure to have a good time. Whether you’re new to tent camping and just want to try it out or simply want to share an evening with your family sleeping under the stars. 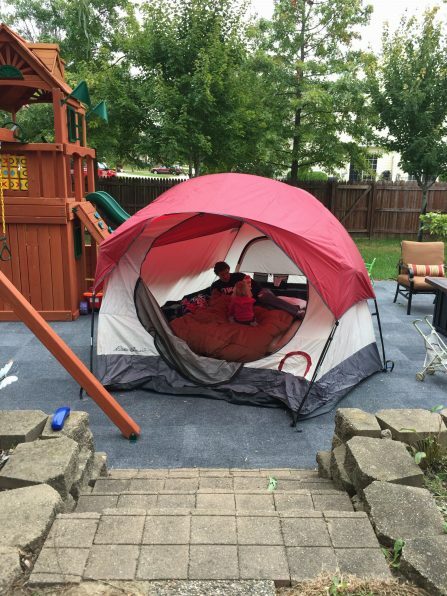 Camping in your backyard involves a lot less packing and meal planning than hauling everything to a campground. And if it starts raining or gets too hot, you can always retreat back to the house. The possibilities for backyard summer activities really are endless. These are just a few of our favorite ideas and a good variety to meet the interests of kids (and adults) off all ages. Whether they are active and need to be moving all the time, or would rather sit and do a quiet activity, there is sure to be something on this list that will help fight summer boredom and get your kids interested in something new. And they great thing is that you will not have to leave the house or spend a lot of money doing them.